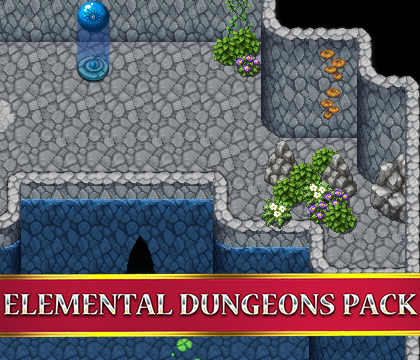 Elemental Dungeons Tiles| RPG Maker | Create Your Own Game! 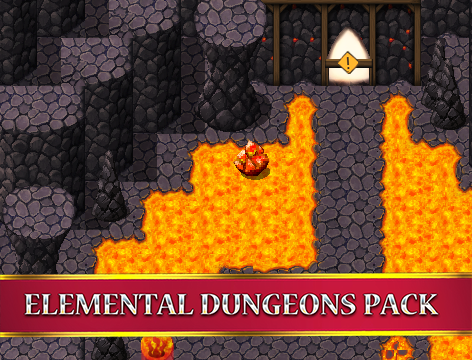 Whether you're on the lookout for a classic explorer's dungeon or simply want a little extra variety for your RPG Maker MV maps, Elemental Dungeons Tiles is a must-have addition to your growing library of RPG Maker resources! Complete Tile B, including decorations and architectural elements needed to create 4 different elemental dungeons. Tile C, including a wall option and room to grow and add your own tiles.